Tyler has been always been an avid participator in athletic pursuits for fun and personal growth. After his accident, when most people would have resigned themselves to a life of sedentary observation of the sports and activities previously enjoyed, Tyler saw an opportunity for rehabilitation and inner development. Seeing how quickly Tyler gained proficiency in snowboarding and nordic skiing, you’d be forgiven for thinking it was an easy recovery from a less-debilitating injury. The truth is that it was the hardest thing he ever did. Determined not to let his accident destroy his life, he set out completely re-learn how to control a snowboard, and took up the new sport of cross-country skiing. Read about Tyler’s participation in these sports and see his race results below. 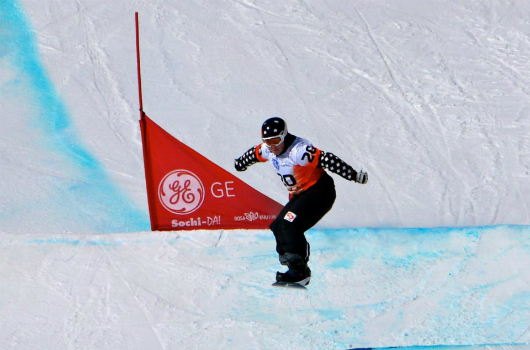 Adaptive Snowboarding is a relatively new sport. People living with disabilities have been snowboarding for years. Unfortunately organized snowboarding for people living with a disability hasn’t existed to the level of other winter sports. In large part because snowboarding is a newer sport. Tyler realized this a couple years after his spinal cord injury and met with the Disabled Ski Program in Whistler and suggested they offer snowboarding. The program officials agreed and Tyler became involved in the development of what has become the Whistler Adaptive Sports Program (WASP). 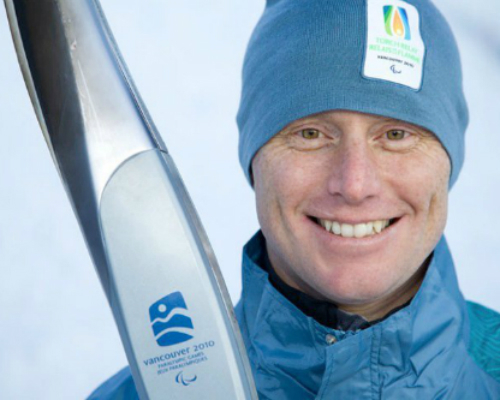 Later that year, Tyler made a presentation at the AGM of the Canadian Snowboard Federation (CSF) in favor of Adaptive Snowboarding and the development thereof. The board made a motion to make Adaptive Snowboarding part of their mandate and from then on the CSF have developed a National Team, Hosted the First Ever World Cup and are leaders in the World for the development of Adaptive Snowboarding. The development of Adaptive Snowboarding is slow and arduous throughout the World without the inclusion in the Winter Paralympic Games. 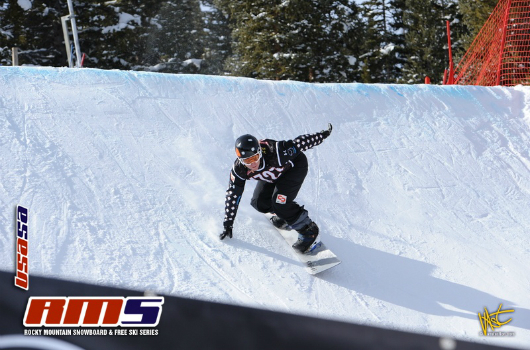 People from around the World living with a disability have been snowboarding for years and the first true international competition was likely in 2005 at the USASA National Championships. Since then, Riders, their Nations and the World Snowboard Federation (WSF) have developed a model for competition at an international level. This is a “Sling-Shot Boarder Cross” which in short is the riders going through a Snowboard Cross Course one-at-a-time in a time trail circumstance with the best time of three runs determining the winter after percentage factoring where appropriate to determine a level playing field. It should be noted that Adaptive Snowboarding is a recognized sport by Sport Canada, yet until it becomes a Paralympic Sport it will lack the funding needed to truly develop the sport around the world. As a grass-roots movement and through the help of certain Nations, Snowboard Federations and Guidance by the International Paralympic Committee, we hope to have the sport developed to a level of participation and professionalism to be included in the 2014 Winter Paralympic Games. Tyler is the 2009 World Adaptive Snowboarding World Champion held in Cadrona, New Zealand; the 2009 Canadian National Champion held at Grouse Mountain, Vancouver, Canada and he won the first ever World Cup in Adaptive Snowboarding in 2008 on the same Mountain where he had his Spinal Cord Injury Paralyzing him for life; Blackcomb Mountain, Whistler, Canada. 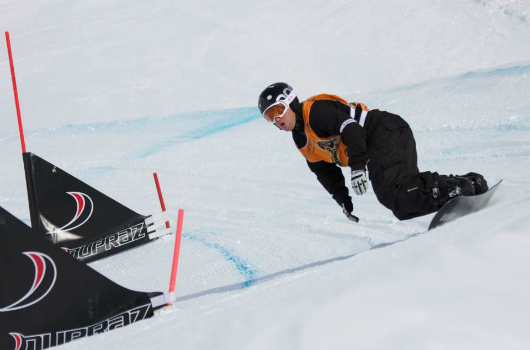 Tyler is very active in the sport community for Adaptive Snowboarding and has been competing internationally since 2005. Please do not hesitate to email him if you have any questions or would like to know more about Adaptive Snowboarding. 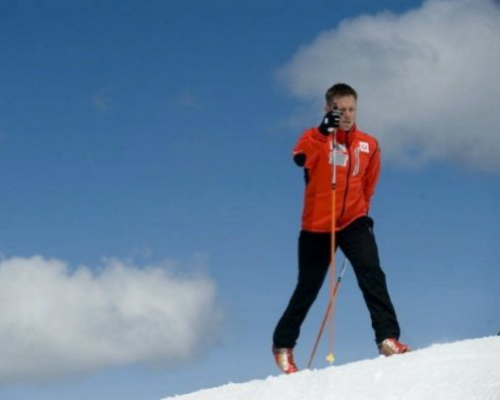 Tyler took up Cross Country Skiing as a form of rehabilitation from his spinal cord injury. After spend a winter watching the snow fly from inside his house in Whistler, Tyler needed a change. He thought Cross Country Skiing would help his mobility, core strength and self esteem by getting outdoors in a passive manner. He had no idea how hard it would be. Not only was he paralyzed in the backs of his legs, but It is super hard to ski well. A year later he was looking at what it would take to race and met the Canadian National Team Coach in April of 2003. 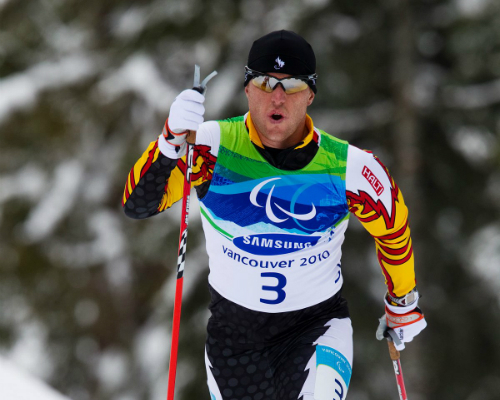 Eight Months Later, Tyler set a goal to compete in the 2010 Winter Paralympic Games for Canada in Para-Nordic events. Seven years later he did it. Through goal setting and perseverance, Tyler competed at the games in a sport he took up at 30 years of age after his spinal cord injury. He was part of the National Relay Team for Cross Country and came 7th, 21st in 10km Classic and 19th in the Classic Sprint. 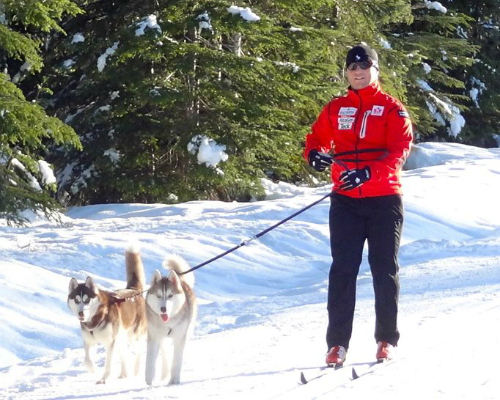 Tyler now looks forward to the 2011 season when he is attempting to accomplish what only about a 100 people in the world have; complete all three 55km Classic Ski Marathons called Birkebeiner. This race originated in Norway and people all around the world compete in these epic races located in three countries. However, there is a catch, Tyler is going to do all three in one year and not even 10 people are known to accomplish this. So keep in touch to see how it Works out. The Races are in Edmonton Canada February 12, Wisconsin USA February 26 and Lillehammer Norway March 19, 2011. Wish me luck! Tyler is currently seeking help to complete all three Birkebeiner’s this year and to compete in the European Snowboarding World Cup. 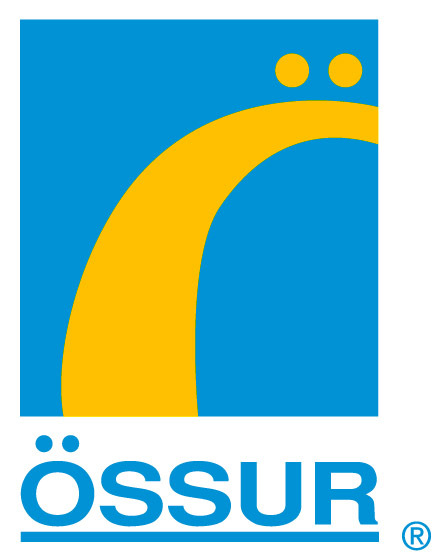 Only about 100 people in the world have completed all three 55km Birkebeiner Cross Country Ski Loppets and about 8 or 9 people have completed all three in one year. 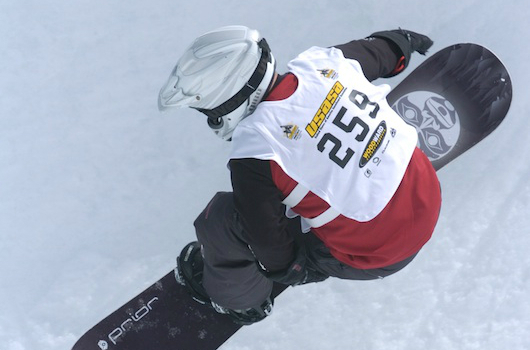 Tyler has mainly supported his sport endeavours himself but would like to thank Sport Canada, The Canadian Paralympic Committee, Cross Country Canada and Canada Snowboard. In lieu of sponsorship Tyler prefers to trade Speaking Engagements to companies willing to help him achieve his goals in sport. It costs about $10,000-$30,000 per year to Compete at the World Cup Level. Tyler is currently seeking funding to compete in Europe at Snowboard World Cups and Complete the Three x 55km Birkebeiner Loppets. Jeff Martino at Face Shot Venture Inc for Burton Snowboard Gear at pro-form prices. The Callaghan Country and Whistler Olympic Park people and Cross Country Connection in Whistler at Lost Lake. Jon Blok and Bob Allison at The Core – Climbing Gym where I train; I recommend their Gym if you are in Whistler; especially if you want to climb some walls. There are obviously other people who help me such as coaches and my doctors at Northlands Medical Clinic. If you ask for help when you are already helping yourself, I find people are keen to be part of your success! If you are interested to help Tyler achieve his goals by donating Funds, please email him at tyler@tylermosher.com. Any and all help is appreciated. Check out our media page for pics and clips of Tyler in action.